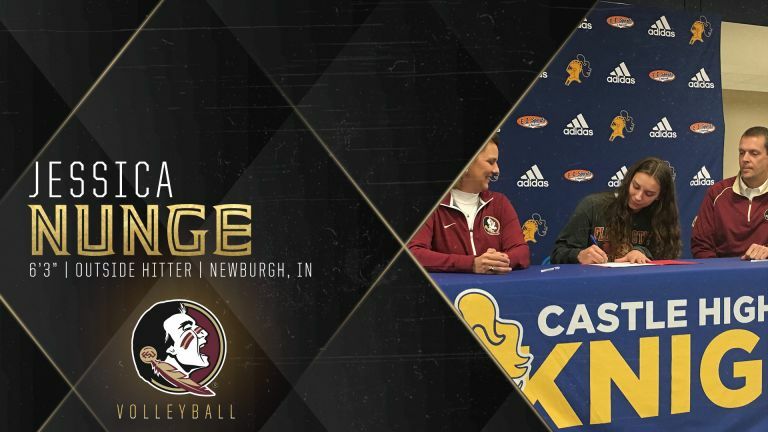 TALLAHASSEE, Fla. – Florida State volleyball head coach Chris Poole announced on Monday the signing of two valuable additions to the program, as Emma Clothier and Jessica Nunge will join the Seminoles for the 2019 season. 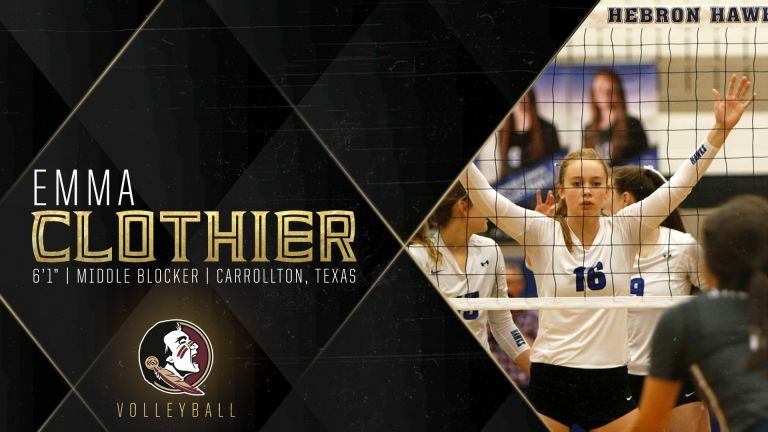 A versatile and athletic player, Clothier will bring a high volleyball IQ and years of experience to Florida State in 2019. She led the Hebron Hawks to three consecutive Texas High School State Championships from 2015 to 2017, and was most recently named an AVCA Under Armour All-American Honorable Mention and earned her third straight First Team All-District nod. In her senior season, Clothier was named a PrepVolleyball.com Senior Ace Top 100, finishing her high school career ranked No. 83 in the nation. She also brings a strong academic performance to the team, as she was named Academic All-District in 2015, 2016 and 2017, and All-State in 2018. As a talented athlete and strong competitor, Nunge brings high-level experience and versatile athleticism to FSU. As a member of the USA Volleyball Youth A1 Team, she was named to the USA High Performance All-Tournament Team in 2017. Nunge’s senior year saw a number of huge awards, as she was named a Pre-Season All-American, a First Team MaxPreps High School All-American, a First Team All-SIAC Conference honoree, an IndyStar Sports Award Finalist, and was named both First Team All-State and All-District. In the classroom, Nunge was named Academic All-State her senior year, and earned the Scholastic “C” Award in recognition of a GPA above 3.5 in 2016, 2017 and 2018. Nunge follows her sister, Rebecca, to the ACC. Rebecca Nunge played for Notre Dame for four seasons and will graduate this year. Quoting head coach Chris Poole: “Jess has huge upside and has already played at a high level demonstrating her skills with the USA Volleyball Youth National A1 program. Jess has played every position on the front row, but will primarily focus on the left side position for us. She has a great serve and already a very aggressive blocker. Jess is also a competitive basketball player and one of the best in Indiana. Both her high school volleyball teams and basketball teams have been extremely successful. Jess has been the best player on both teams and just knows how to win.